Spice up your Party by adding some Mystery! Looking for something new to spice up a party with friends and family. Try a Murder Mystery Game. Theme party games with a sinister twist are a sure way to get all your guests involved in the fun. Murder on the Grill takes you back to 1959, the era of hula hoops, leather jackets and rock n’ roll. 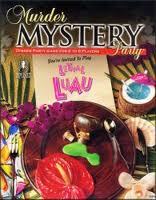 Lethal Luau takes you to sunny Hawaii, the land of sun, surf, and sand. Games include a party planning guide with decorating tips, 8 invitations, character booklets for your guests, and recipe ideas to help you set the scene. 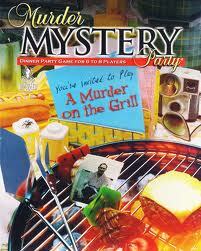 So gather your closest friends/suspects and let our Murder Mystery Games help your next party be a hit!